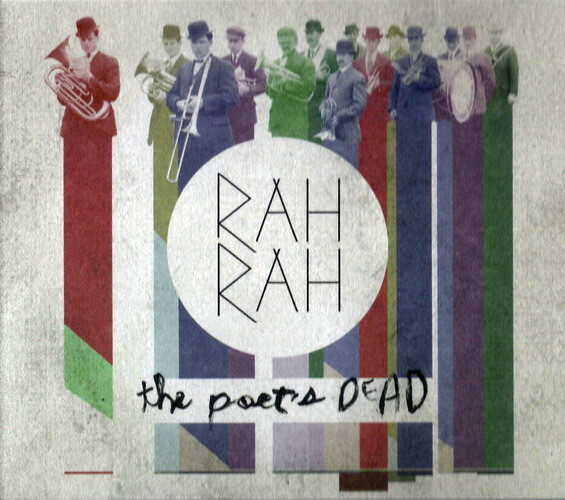 Rah Rah originally formed as a trio in 2007 and quickly grew into an indie rock sextet. They may be the best thing to come out of Regina, Saskatchewan, ever. I was lucky enough to catch Rah Rah during POP last month. It was my first time seeing the band perform live and they absolutely blew me away. Great drum lines, powerful heart-on-sleeve lyrics and catchy melodies right across the board—old songs to new. What amazed me the most was the constant exchange of instruments and lead vocals between members. It was energetic and fascinating to watch and it showcased their collective mentality as well as their considerable musical chops. Also, their shows often feature confetti, balloons and Pop Rocks. If that isn’t enough reason to catch their next show in the city, there’s simply no pleasing you. There’s something to be appreciated about a band that takes their music more seriously than they take themselves. The concentrated electricity of solos and solid drum lines juxtaposed to their tongue-in-cheek lyrics make for a unique listening experience. If you’re not admiring the craftsmanship, you’re grinning at the ludicrous nature of the beast. One thing this album lacks is the variety and catchy originality of Permission to Land. The tracks are decent, nostalgic and easy to listen to, but none of them stand out as contenders to be a single as big as “I Believe In a Thing Called Love”, the undisputed crown jewel the Darkness’ glitzy rock and roll crown. “Everybody Have a Good Time” and “Living Each Day Blind” revisit the rock ballads of their past, while “Keep Me Hangin’ On” channels it’s own Tom Cochrane “Life is a Highway” vibration when the chorus rolls in. As always, the range of frontman Justin Hawkins remains a centrepiece throughout. In this age of overproduced electronic music blowing up the speakers of every club (looking at you, dubstep) and musicians relying on gimmicks, auto-tune and reality TV to get noticed, one man dares to defy the majority and keep it old school. Canada’s folk country hero Stompin’ Tom Connors is that man, and at 76 years of age, with 45 years of experience in the music industry, he has an acoustic guitar and he’s not afraid to use it. 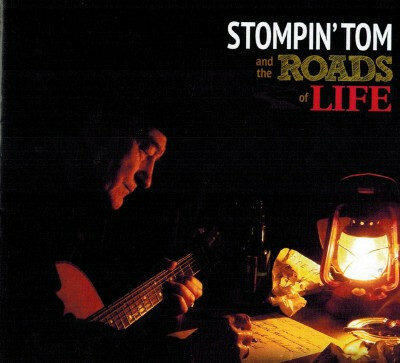 His latest album, Stompin’ Tom and the Roads of Life is what would happen if you tipped Bob Dylan, Johnny Cash and Gordon Lightfoot into a melting pot. It’s a medley of acoustic tunes, ballads and instrumental pieces, evoking images of cottage country and a simpler time that forces the listener to slow down and take a deep breath of fresh air, no matter where they happen to be listening to it. The tracks are warmed with simplicity and they’re sanded down, unglossy with old-time charm. While the ensemble varies from track to track and can include everything from strings to harmonicas, at the core, there is a man and his guitar. And boy, it truly is a thing of beauty.